Genuine OEM Brother Drum Unit, 25,000 page yield. 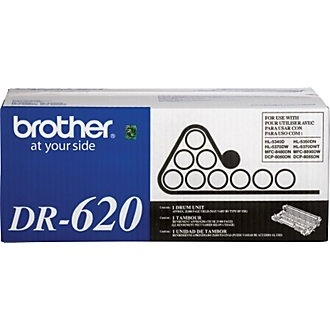 Brother part number: DR620. Drum Unit compatible with Brother DCP-8050DN, DCP-8080DN, DCP-8085DN, HL-5340D, HL-5350, HL-5370, HL-5370DW, HL-5380, MFC-8370, MFC-8480DN, MFC-8680DN, MFC-8690DW, MFC-8880DN, MFC-8890DW.